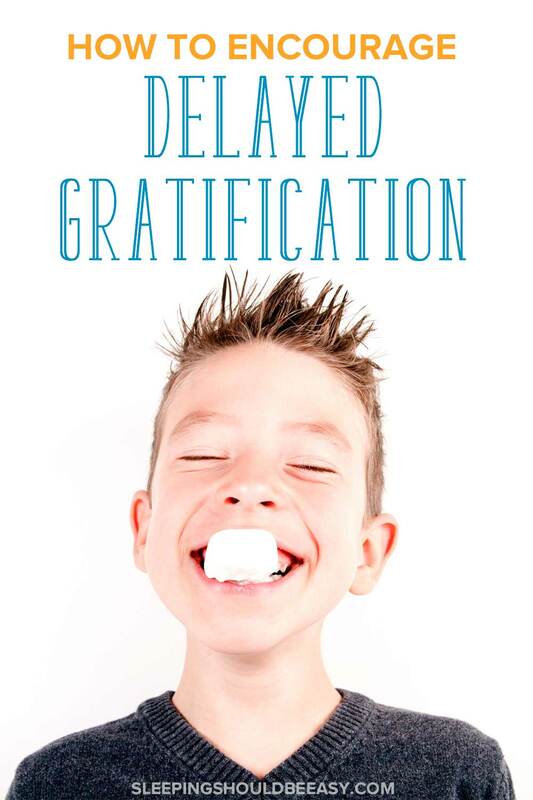 Research shows that delayed gratification is a necessary skill for kids and adults alike. Here’s how to encourage delayed gratification in children. Do you want one marshmallow now, or two in five minutes? That was the question psychologist Walter Mischel asked several children back in 1972. His now-famous marshmallow test studied whether kids would delay a reward, and how they compared to the kids who didn’t. They could eat the marshmallow in front of them now, but if they did, they would only get that one marshmallow. They can wait a few minutes for a second marshmallow, but only if they don’t eat the first that’s sitting in front of them. Turns out the children who resisted the first marshmallow and waited for the second enjoyed greater success as adults. These kids became adults who learned how to save, wait, and cope with uncomfortable situations, just as they did as children resisting a tempting marshmallow. The question now is, can we encourage delayed gratification in children so they develop those skills? Mischel says that genetics plays a huge role, as it seems to do with most everything about us. But we can still contribute to how well our kids can delay gratification. The simplest way? You see, the children who resisted were able to delay eating the first marshmallow because they found ways to distract themselves and resist temptation. They used all sorts of ways, from pulling on their pigtails or tucking their hands under their legs. How is it that some kids knew to do these creative techniques while others didn’t? Mischel says the kids who delayed gratification were able to do so because they knew how to wait. Kids can devise creative ways to distract and entertain themselves while they wait, but when we fulfill every need right away, they lose the opportunities to do so. I can relate. When my son was an infant, I rushed right in to pick him up at the slightest whimper without giving him a chance to settle down. I’d prepare breakfast for him as a toddler before he woke up so he wouldn’t have to wait and get cranky. Cooking together doesn’t just teach valuable life skills and measurements. Your child also learns that many of the things she wants, including meals, take time to make. She realizes that meals don’t appear just because she’s hungry. 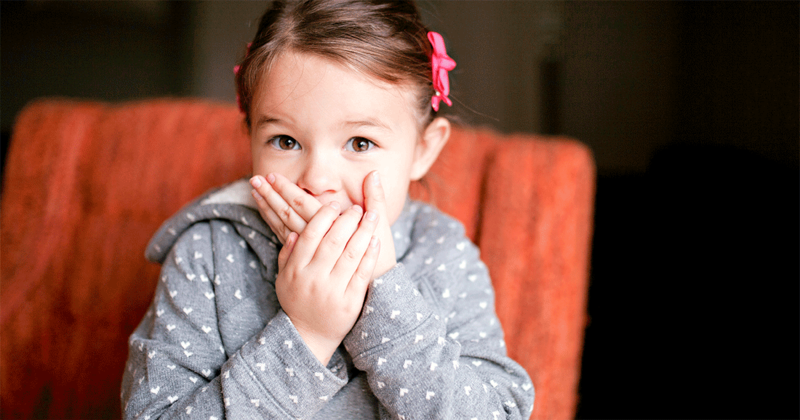 Since your child is helping you cook, she’s even more invested in the result. She learns to value the process of cooking as well as the final product. As they say, it’s the journey, not the destination. Plus, the act of cooking itself distracts her from wanting her food right now. As hungry as she may be, she develops the skill of doing something else to make waiting more bearable. 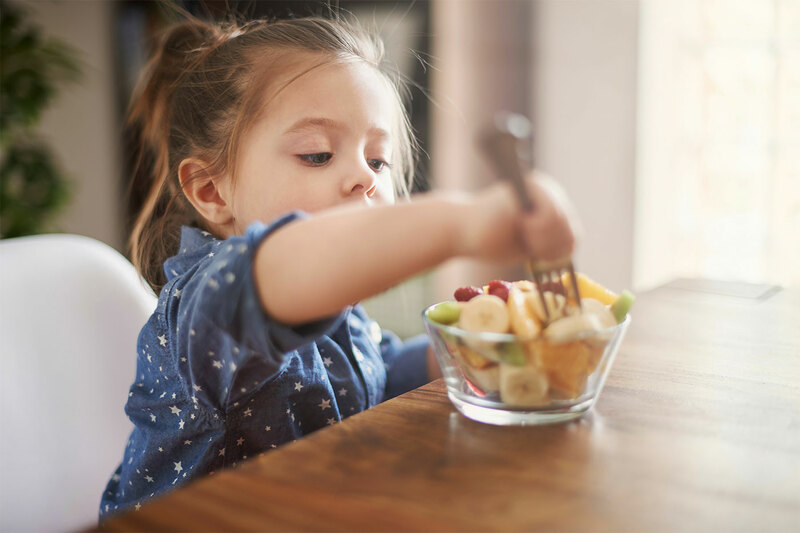 One of the easiest ways to help children delay gratification and learn patience is to have them wait for food. If your child says she’s hungry 30 minutes before dinner, have her wait until the food is ready. She learns there’s a time for meals, and it’s not the end of the world if she has to wait a few minutes to eat. Not giving her food (or anything else for that matter) every time she asks also prevents her from growing up feeling entitled. The best part? She now has an opportunity to find ways to keep herself occupied before meal time. Rather than fulfilling every need the minute they arise, your child learns how to cope with the discomfort of waiting we all experience. One simple way to have your child wait while avoiding a meltdown is to establish set meal times. She’ll know when to expect to eat and will have consistent rules and meal times to anticipate. 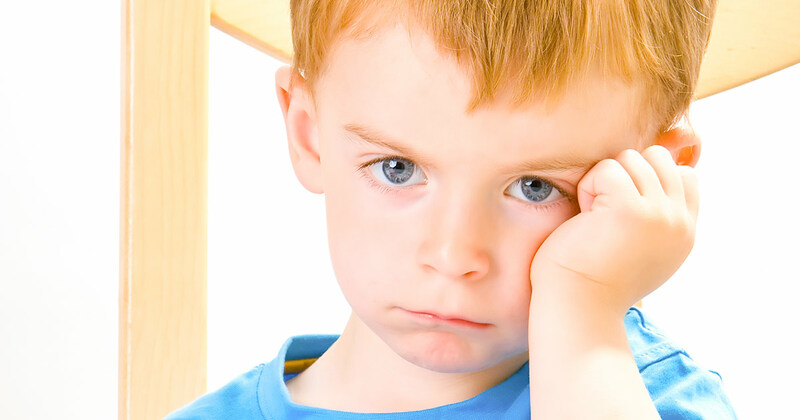 Read more about the 9 warning signs of a spoiled child. When you’re talking to another person, don’t let your child interrupt. This is yet another fantastic exercise not just in being respectful, but waiting your turn. Pause and say, “I’m talking to so-and-so right now. Let me finish first and then it can be your turn to talk.” Other times, holding up your hand or finger as you finish your conversation is enough to signal to your child to wait. This doesn’t have to be cold, either. I’ll acknowledge my son’s presence by placing a hand on his back, or say he has to wait with a smile on my face. Your child learns the importance of turn-taking and waiting, even if he has the urge to speak. Learn how to teach your child not to interrupt. Why is it important to let your child play alone? The ability to wait relies on finding creative ways to make that time more bearable. Independent play provides the opportunity to entertain herself and develop creativity. Let’s say your child says she’s bored. It’s tempting to jump in with an activity to squelch that boredom, but by allowing her to feel bored—and play alone regularly—you encourage her to find ways to make waiting more pleasant. Rather than relying on us to tell them what to do, kids develop their imagination. They tinker with distractions. They can even pass the time in “boring” settings, such as in a waiting room or standing in line. These skills will help them develop the ability to delay gratification. The funny thing with saying “no” and setting limits is that kids actually need them. Sure, they fight it at the moment, but the alternative—letting them get everything they want—doesn’t feel good to them. Setting boundaries reassures kids we care enough to enforce limits rather than shrugging our shoulders and agreeing all the time. The happy balance is setting limits while still providing freedom to explore. Think of it as a fence: you need something to contain kids from running wild, but with enough space to play and grow. 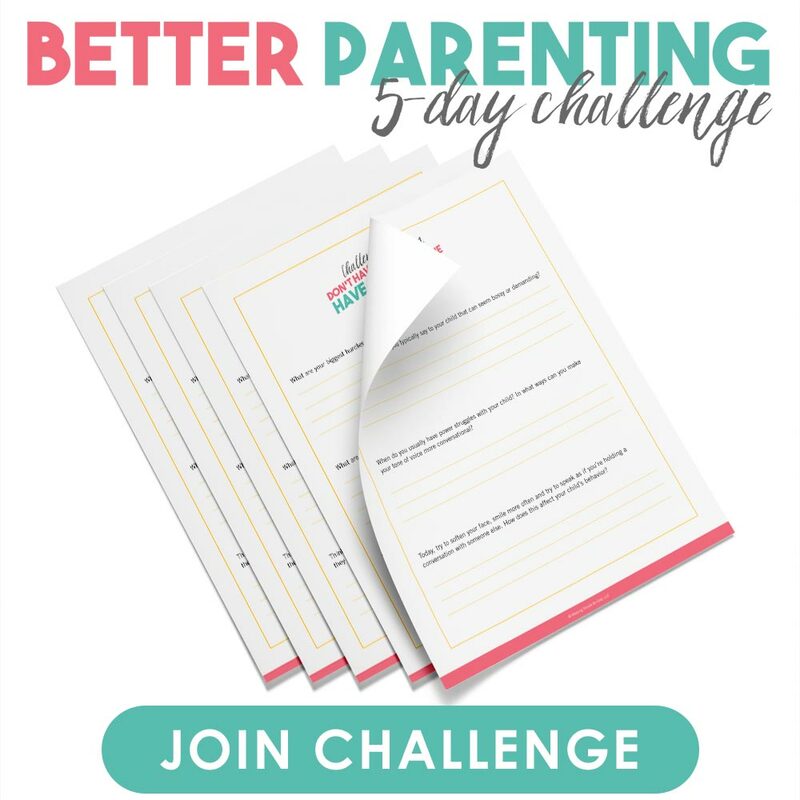 Be firm where it matters, whether it’s buying impulsive toys or establishing set bedtimes, and allow flexibility for the rest. Kids will learn they can’t always get what they want. Read more about setting limits. Writing lists is an excellent habit to establish now. Your child learns to plan for the future instead of expecting everything she wants right away. Lists help her prioritize and see which items she truly wants. You can help her write lists for special items she’d like to have with the agreement to only buy one or two. These limits force her to practice waiting for certain circumstances to happen (such as having enough money saved or time passed, for instance). And lists also teaches her how to save buy a coveted item or wait for an upcoming event. This will teach her to save as an adult, as well as develop the discipline to set aside money for important but distant goals such as retirement or a down payment. Having kids wait is a work in progress, and kids may show their displeasure. But making them wait promotes delayed gratification and better success in the future. You can encourage delayed gratification in children through simple, daily activities. Cooking together and having your child wait for meal times teaches patience. Playing independently develops the creativity to cope with the discomfort of boredom. And setting limits as well as writing lists teaches her that not everything comes instantly. And that sometimes, learning delayed gratification can be just the skill we need for success—and not just a second marshmallow—later in life. Tell me in the comments: How do you encourage delayed gratification in children? We are really working on this one in our family as of late. For every request Eli makes it is stated three times. “I want….. I want…..now! I want…right now!” it’s a very hard lesson for little ones and boy are we getting a lot of practice in these days! I agree that it is a super important life skill and well worth the time investment (and tantrums endured). Aw, nothing worse than your kid wanting something *right now*! I totally get you, Karen. It’s tough! Hopefully though through time he’ll learn that waiting is necessary and can even reap its own rewards. I’m wouldn’t say I’m actively trying to promote delayed gratification in my 2yo daughter – just hadn’t occurred to me in those terms – but of course I agree it’s a good idea for her not to get everything she wants all the time and pronto, cos life’s just not like that , and I do endeavour to teach her that this is the case. I hope soon to be cooking and baking together,I think she is at the right age now (going on 2.5) but with a newborn atm it hasn’t always been practical recently! I do make her wait and not snack if we’re close to dinner – have taught myself to zone out of the ensuing tantrum… We are teaching her not to interupt which has also been hard, mum and dad are not allowed to speak to each other sometimes! “No” is so hard at times when the path of least resistance would make for an easier life for me in that moment, but in the long term it’s not worth it – it would be a slippery slope!! Independent play so very important also. And saves my sanity when it is all going well for a while 😉 Love your list of suggestions! Hi Pam! I was slow to join the cooking/baking routine myself but now I let him stand on a chair and help put things together. And wow, a newborn! Congrats! I’ll be joining you in a few months lol. We’re definitely working on the interrupting around here. My kiddo has taken to telling us to stop talking so we’re having to be super proactive with explaining and practice! How funny Steph! Sounds like she wants in on the conversations too. I think I do most of the above. Like you, when my daughter was a baby, at the first sound I would rush into her room out of fear over the slightest sign of distress. Now, I know she will get over it and it pays to teach them patience and good things come to those that wait. Totally! I plan to be more mindful of this with the twins this time around. Not that I’m going to let them cry and cry, but I also know it’s unneeded stress on me to be so jumpy, and it’s okay to wait a little bit and that it’s part of life. I do all of those things, but boy my kids still don’t like it. They want everything right now! I think one day it will pay off though. And maybe it has already. For the most part, they don’t throw a fit at the word no. That’s progress. I have triplets, and it was nice to read an article that actually endorses something I have to do by default with my three kiddos. They have to wait – they’ve always had to wait. They don’t always do it with patience and kindness, but it is getting better (well, it goes in waves – but usually there is one or two who will wait patiently, or one or two who expresses frustration – in meltdown form, heh). Great tips and a very nice article. Thank you. I know what you mean, Katy, but with twins and a five-year-old instead of triplets (so I get a bit of a break with the five-year-old being more patient with age). Not everything can be had right this moment, and I’ve heard that they can take that skill well into adulthood. Love your list of suggestions. Would you please elaborate on which one is appropriate for which age range? Thanks so much! Thanks! These are appropriate for the toddler age and up.